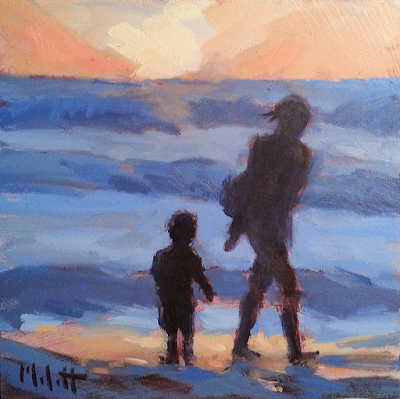 "Mom with Her Little One"
I love watching people strolling up and down the beach. This sweet little boy and his mother is no exception. I liked how they were silhouetted instead of detailed.